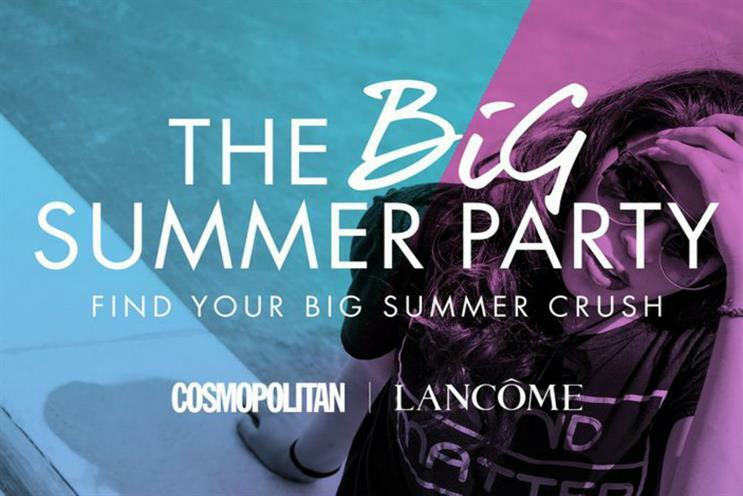 Cosmopolitan, the Hearst magazine title, has teamed up with Lancôme to host a match-making event featuring a DJ and some daring challenges. The brands have joined forces for The Big Summer Party, with the aim of helping guests to find their ideal dating partner. Guests will be matched up with someone based on the answers they give when buying a ticket to the event. They will then take part in a series of ice-breaker challenges designed to test how compatible they are, with an expert Cosmopolitan panel judging the couples. Lancôme will be hosting a make-up station and providing goody bags. The event takes place at rooftop bar and pool of The Curtain Hotel in London on 8 August.